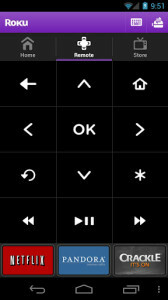 Using the Roku application available for both Android and iOS you can turn your device into control center for Roku streaming player. With this application you can stream your favorite music playlists and browse through the family photos easily and share them on the big screen. 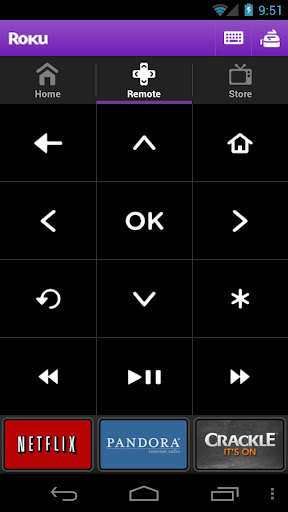 The application includes the quick launch button, which includes the My Channels, Remote, Play on Roku, Store and Settings. While its understood that what you get under Store and Settings, My Channels allows you to access all of your channels and Play on Roku allows the users to put their photos and videos up on to the television. The application is optimized for better performance on the Android 4.0 Ice Cream Sandwich operating system. On this application users can give unique name to the different Roku players. This application is with improved device discovery and includes the ability to voice launch channels. United Kingdom, Ireland and Canada users will be happy to learn that this application will be available for download. 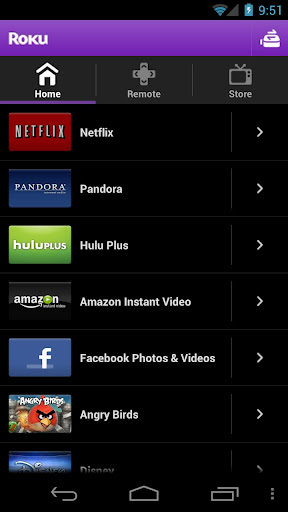 This applications is compatible with all the Roku Players. For the perfect working you should connect your Android phone to the same network as you use for the Roku Player. It supports Roku HD player (model #2500), and Roku LT (models #2400 and 2450). Once the connection is done you will be asked to login in to your Roku account. Roku for Android can be download via the official Google Play Store.